YOU ARE AWESOME!. . 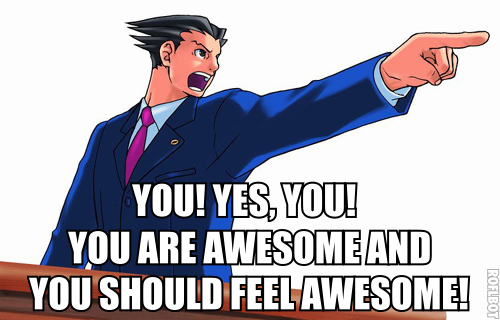 Wallpaper and background images in the aleatório club tagged: picture phoenix wright captions objection awesome. This aleatório photo contains anime, banda desenhada, manga, desenhos animados, mangá, and quadrinhos. Apparently the wall is awesomer than me.